So I got the 7 day trial pack in my march vellvette box, like everyone else i was quite skeptical to try but at the same time intrigued by the product, lots of online research later i find it is a rage in japan, great reviews on amazon and almost every other blog which reviewed this product started off as a 'skeptic' but after using it, saw positive results and loved it. By now i had to try it too! I googled "meiji amino collagen review india" and found nothing, absolutely no reviews! Sure there are loads of reviews, even on amazon but just not from india. I knew i had to write one considering i have been consuming it since close to a month now! Though i had not heard about the amino collagen supplement drinks, i am well aware of Meiji as a brand. 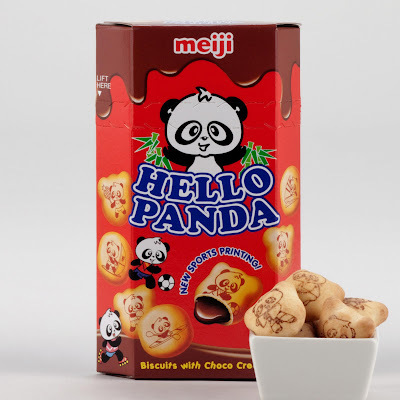 Have you tried those 'hello panda' cookies? Yes, its the same brand! The can is 200g and last for 28 days. It retails for INR.1800 on the amino india website, where i purchased my first can from, they have COD and free shipping. Service was ok since there was a delay in delivery. I got my second can from vellvette at a discount rate of INR. 1500 COD, delivered within 2 days! Amazing! Price : INR1800 ($33 approx) for 200g. favorite dishes and see the difference yourself in just 7 days." Nutritional Info : Meiji Amino Collagen is made from high quality, low-molecular collagen peptide. No fat and Cholesterol. One would wonder why would i want to experiment with consuming beauty supplements, since applying is one thing and ingesting is another ball game altogether, right? To be honest i was hesitant at first but reading reviews online helped overcome fears. I am not averse to the idea of consuming supplements since my dermatologist (very well known) had recommended vitamin c and omega-3 supplements but i have not been regular at all to see results, i find tablets troublesome and forget all the time. Since january this year i have been consciously working towards my skin, what's the point of having a fit body when my skin looked so dull and lifeless right? Then began my journey with ample moisturisers, night creams, toners and the list goes on! Also,i know plenty people who take cod liver oil or some form of omega-3 for skin and hair regularly hence i thought why not, this amino collagen is all natural, let's give it a shot ! After one week of trial, i couldn't see much of a striking difference, though i did find my skin looking relatively fresh throughout the day and so went ahead and ordered the full size can. I made my mom try it for a week to see how it works on her. Now my mom and i share one can, to reduce clutter of cans (really!) which makes 1 can last for 2 weeks (14 days) instead of 28 days, we are ok with that. It has been close to a month for me and i do see results! My first empty can of Meiji Amino Collagen! At first glance it can easily be mistaken for milk powder, with its milk power like texture it might seem like but one whiff, you'd know better, definitely not milk powder! I don't know how people say it is neutral, tasteless and odourless because it is clearly not! It does have a fishy aftertaste if you get an undissolved clump in the mouth, which is why i make sure i stir it enough to dissolve any clumps! The first few times i felt the smell was horrible even though i am sure half of it was a mental phobia against ingesting fish collagen, soon it got better and now i can't make out the difference if it is mixed or not. Funny since i am a complete non vegetarian and enjoy sea food the most. How do i have it? I have tried both with soup and juice and find it best with a glass of freshly squeezed orange juice, preferably at night but anytime is fine i guess. Glow - My skin does glow, looks healthy, so it is safe to say that it does work in that aspect. Moisturising - it has no claims to moisturise the skin, my skin is combination and i do need my regular moisturizing but it does claim collagen helps "maintain suppleness and elasticity of the skin". Skin Lightning - It hasn't lightened my skin tone nor does it claim too. Firmness, wrinkles - I am too young for this but i shall share my mothers experience next. Suppleness/Elasticity - Again i am not the best person to answer this since i am in my early 20s but yes my skin glows and feels supple, but i am taking care of it now along with skincare products. Acne - No reduction in acne (no claims to it). My cheeks naturally had a red tint, like natural blush but that disappeared with bad skin care and loosing weight- it has returned! woohoo! but but i am not sure if it is this product since in general i am taking care of my skin and no diet cut backs anymore. It could be a combination of everything? Maybe. I'd say it works, my skin has a healthy glow,texture has improved, looks vibrant in conjunction with my daily skincare which to be fair has attributed in improving my complexion, which had turned dry,dull and uneven. My mother sees results too, which is why we know it is working on both of us hehe. I am going to continue using it until upto 4 months to decide if i do want to include this supplement in my lifestyle routine, that is because apparently - our body takes approximately 4 months for unhealthy tissue to be replaced by healthy tissue. And by then i am sure i'd be a better judge of this product by experience, right? PS: Anyone tried Meiji Amino Collagen? Working ? Not working? Do we put on weight by having amino collagen? Hi Hun, I represent meiji, could you email me at victoria.c@e-solmedia.sg, I'd like to feature your blog post. Thank you! Poor collagen levels also affect to bones also....!! Collagen provides a supportive structure for various body tissues such as muscles, bones and ligaments and prevents them from falling apart. do v gain weight using this product..? My March Enchantess Bag ! H&M Mini Shopping Haul !